There are many students who seek admissions into grad school for their masters just after the completion of their undergrad degree programmes, while some others enrol themselves after few years of work experience. 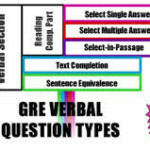 The GRE online Prep programme caters to both categories of test-takers. There are pros and cons for each category. Here, we would explore them in detail. Most of the people you connect with through the GRE online Prep programme would tell you that work experience doesn’t play a major role in getting you admission to a master’s programme. But for few streams like the MIS (Management in Information Systems), which is a field of Computer Science, an experienced professional has an edge over applicants who are fresh graduates. If you have relevant experience or have worked with big brands like Google, you have an edge over your contemporaries. Completing your college work, academic projects, preparing for your college exams along with doing practice questions through GRE online Prep can lead to a time crunch, thus resulting in stress. Since your academic scores stick to you during your entire lifetime, you would not want to take chances with your scores in college. A full-time job could be equally demanding, but here your grades are not at stake. Hence, you would have more time in hand to go through the GRE online Prep material while working. If you have few years of experience, you would have better job prospects in the US after your Masters as compared to freshers. Your pay scale would be higher than someone who is a fresher. But in case there is a downfall in the economy, companies may choose to hire freshers for a lower pay rather than experienced professionals for a higher pay. In such a situation, you might have to compromise on the pay scale. Else, in some time, your visa would expire and you would have to return from the US, and you would not be able to get the returns of investing in an expensive programme. Having a work experience equips you with technical skills and soft skills. You have better chances of grabbing on-campus part-time jobs that require some technical proficiency during your master’s programme. 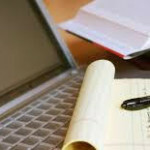 A reputed GRE online Prep programme has study plans catering to all kinds of test-takers with different requirements ranging from 1-month study schedule to 6-month study schedule. You can choose the schedule that meets your requirements. The planned and structured approach provided by the GRE online Prep programme gives you the estimate of the number of hours you need to put in on a regular basis and guides you towards your goals. The GRE online Prep saves the commuting time needed for a classroom-based programme. The GRE online Prep programme provides a platform where you would be able to seek the correct guidance for your GRE exam as well as the admission process.